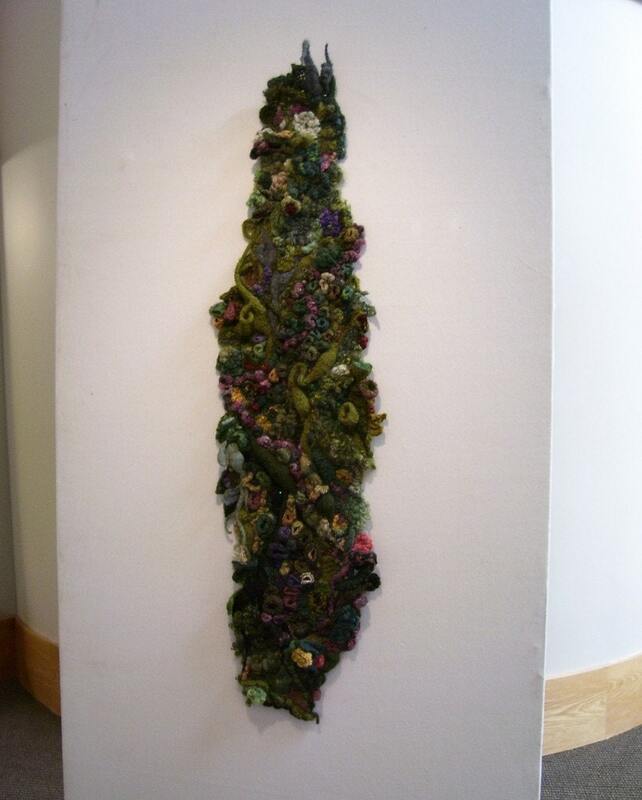 This beautiful, freeform fall is made from approximately 80% hand painted and handspun yarns-mostly by me. I adore the spill of color and texture and you will too. 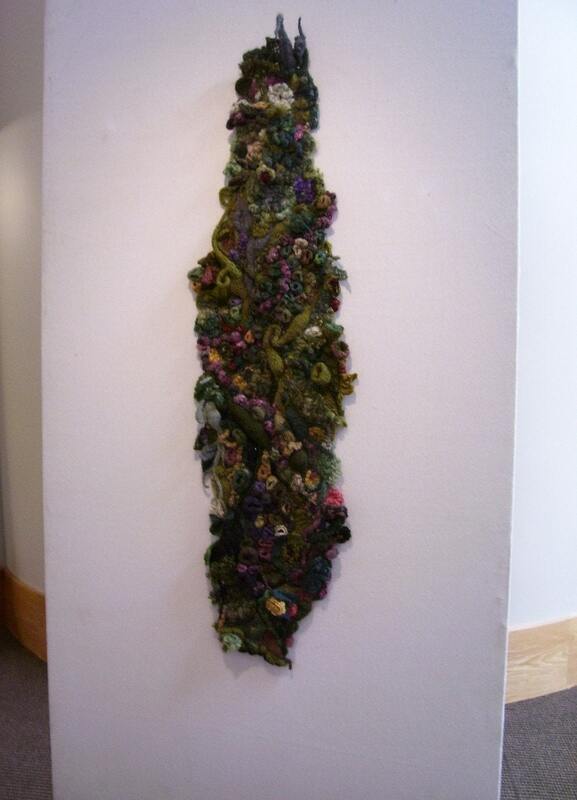 At present, I have only hung it vertically on a wall in my home and in several gallery exhibits. I hang it with 15-20 nails or pins (depending on the hanging surface) spread throughout the work to distribute the weight of the piece. 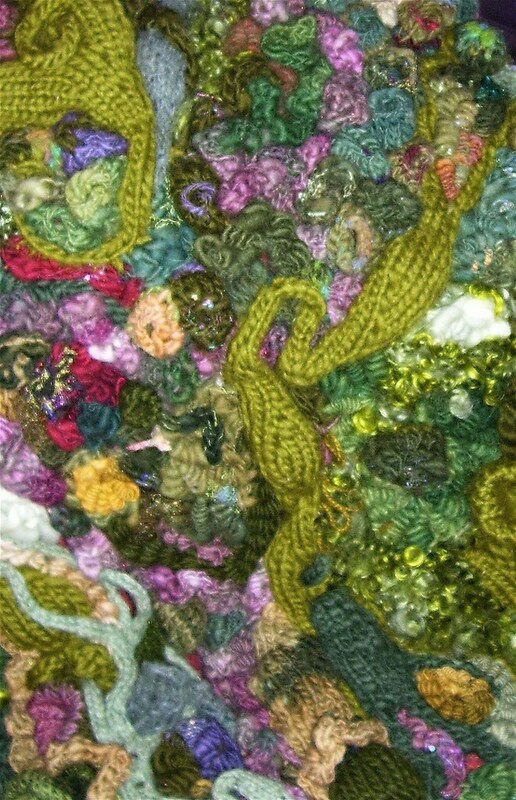 Because of the weight, I have added a backing of the same material used for latch hooking. This gives it both strength, prevents it from stretching and offers several hanging options.